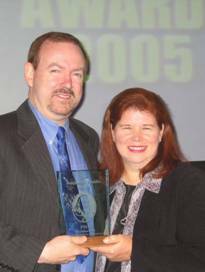 Leawood Kansas publisher Second Star Creations received the coveted 2005 Benjamin Franklin Award for the best independently published Juvenile-Young Adult fiction book of the year at the annual Publisher’s Marketing Association ceremony in New York City on June 1, 2005. 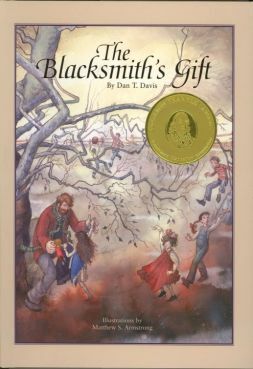 The Blacksmith’s Gift was named the winning title and was written by Dan T Davis and illustrated by Matthew S. Armstrong. The Blacksmith’s Gift is the story of why Santa Claus began giving gifts to children. Based in Norway at the turn of the century, we find a Santa who is loving, but who has yet to discover his true calling of making and giving toys to children. The story celebrates a dollhouse as the first toy given by Santa; a physical model of that dollhouse was created and can be viewed at www.blacksmithsgift.com. Second Star Creations was created to “turn dreams into reality”. Jan Davis formed the company to publish The Blacksmith’s Gift as well as their self-help book Infertility’s Anguish. This award affirms their devotion to quality and storytelling. They plan to publish at least four more books over the next two years.